Mini-trireme prepared for ramming speed! 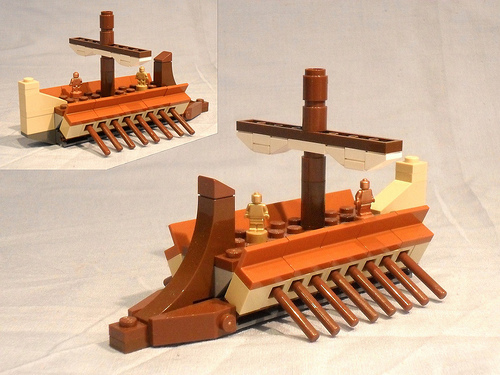 Víctor Mtz N. (lokosuperfluoLEGOman) built this adorable little trireme ship for a minifig-scale diorama displayed at the MadBrick event in Madrid earlier this month. The Collectible Minifig trophies make nice micro-figs, and I love the shape of the prow.